Quick fix dishes with blasting flavors are always a crowd pleaser, isn’t it? 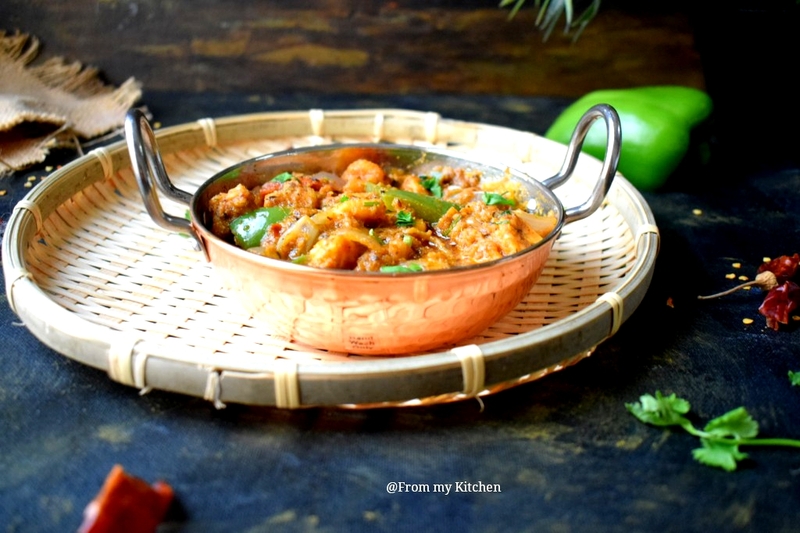 So here I’m introducing one more easy peasy and delicious prawn kadai cooked in my own style which is so easy to prepare and taste so yum! 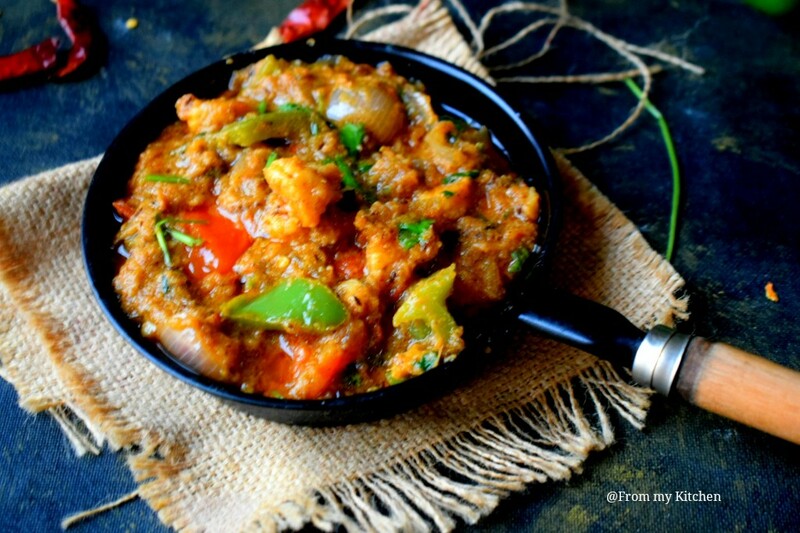 The main thing in kadai preparation is its spice blend and the crunchy veggies along with the non-veg dunked in the gravy. Love that. 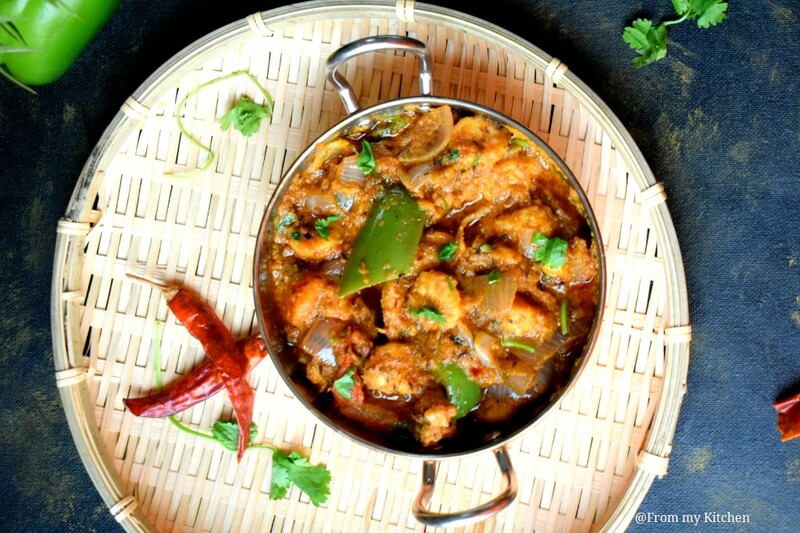 I already shared a kadai paneer recipe on the blog. But this time i was not in a mood to dry roast the whole spices and grind them and all. So what i did was dry roasted the powders(like coriander, fennel, cumin, pepper, chili flakes) that are used in kadai dishes and used in the gravy. Believe me, it was super delicious! Grind onion tomato and green chilies and keep it aside. 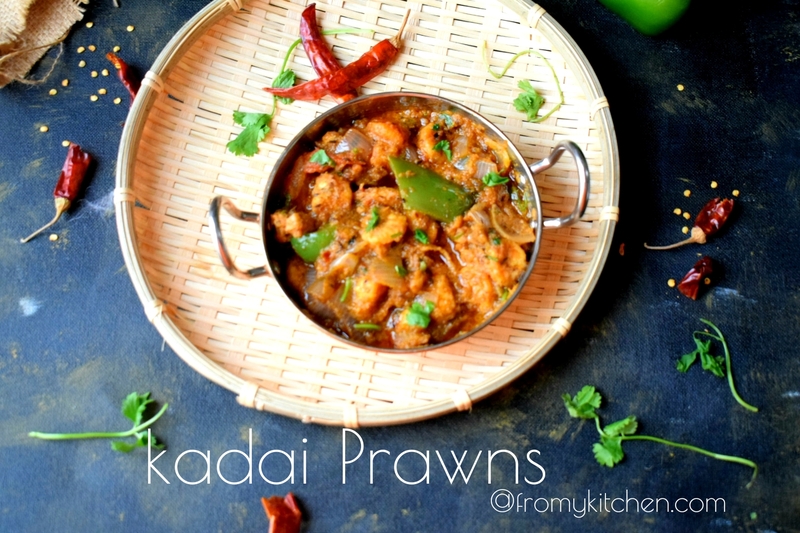 In a pan dry roast, all the spice powders listed under kadai masala. Transfer half of it to a bowl leaving half in the pan. In that pan add the cleaned prawns and salt, mix well to coat the prawns. Then add 2 tbsp oil and fry the prawns. Splutter cumin seeds, fennel seeds and cloves. Then add ginger garlic and cook it for a few seconds. Then add the pureed onion tomato along with some salt. Add some water and let them cook until its rawness is fully gone. Add tomato paste for nice red color (optl) and cook it for few more minutes. Add in the kasuri methi and fried prawn veggies mix well and simmer it for 3 to 5 minutes until everything is well blended. 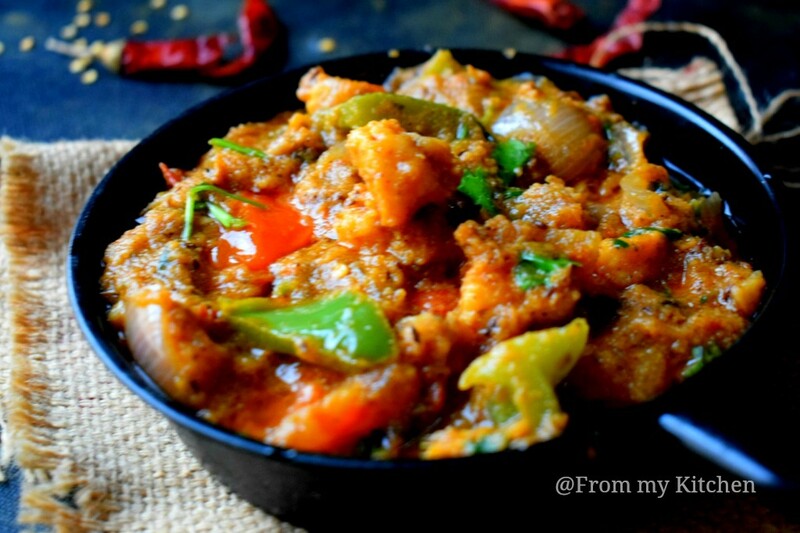 Enjoy this restaurant style dish with your dear ones!